Olivia is serving as a member of the Institute's 2015-16 Community HealthCorps program. She works as an Adolescent Health Educator at one of our school-based health centers. Olivia Button, a 2015-16 Community HealthCorps member, worked at one of the Institute’s school-based health centers this year. As a part of her service, she helped put on an art show to help engage the students in health education. 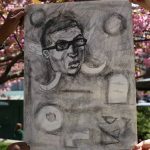 Throughout the course of three weeks, the school-based health centers at the Washington Irving School Campus and The High School of Fashion Industries hosted an Identity Art Show for both patients and non-patients. 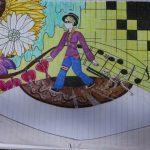 We -fellow Community HealthCorps member Tyler Musgrave and I – noticed students were more likely to engage in health curriculum that allowed for their creative input. Thus, the idea for the art show was formed! 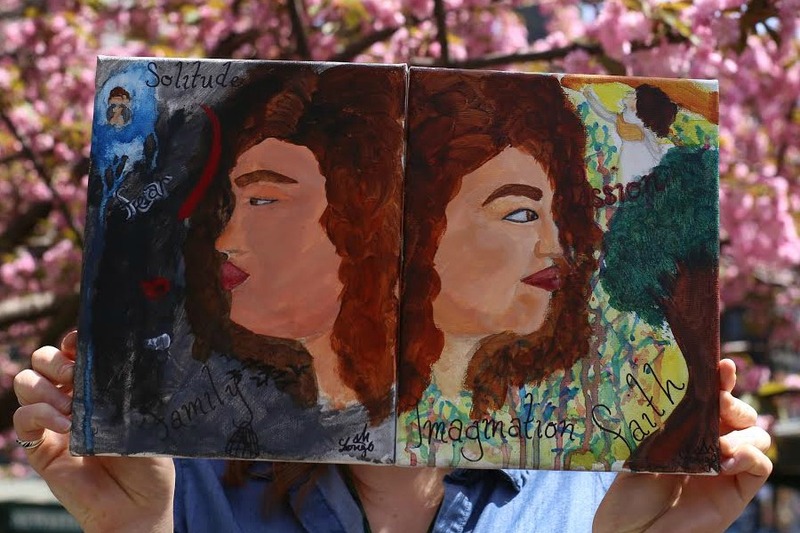 The hope was to encourage artistically-inclined students to explore the important connection between their identities – race, ethnicity, gender, sexual orientation, immigrant status, health conditions, physical ability, etc. – and subsequent health outcomes. 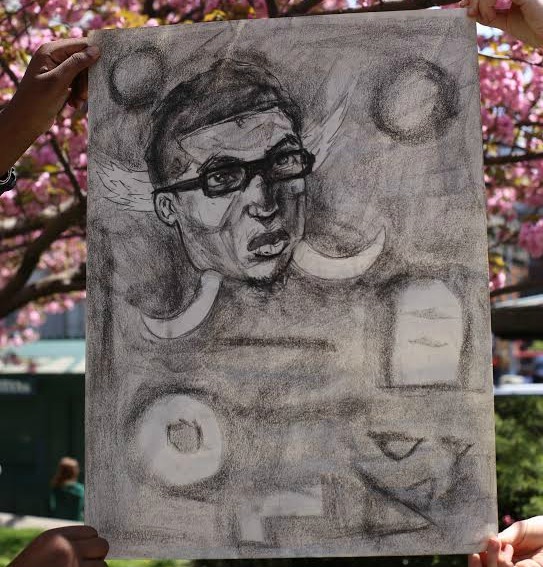 Simultaneously, the art pieces would act to educate peers and faculty on the identities present within their school communities. The Identity Art Show consisted of two workshops in order to provide students with greater context for the link between identity and health, or the “social determinants of health.” The first workshop, facilitated by a representative from Say Ah!, a consumer-led health literacy organization, informed the participants of their health care rights as New York City teens and instructed them on how to advocate for their own health as they grow older and more independent. The second workshop was centered on identity exploration and representation. Participants were presented with statements and statistics of current health disparities between races, genders and immigration statuses in the United States. They were then prompted to explain why these disparities might exist. 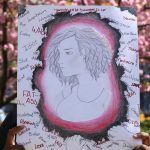 Students discussed the significance of sharing visible and hidden identities in regards to health issues they may face now, or in the future. 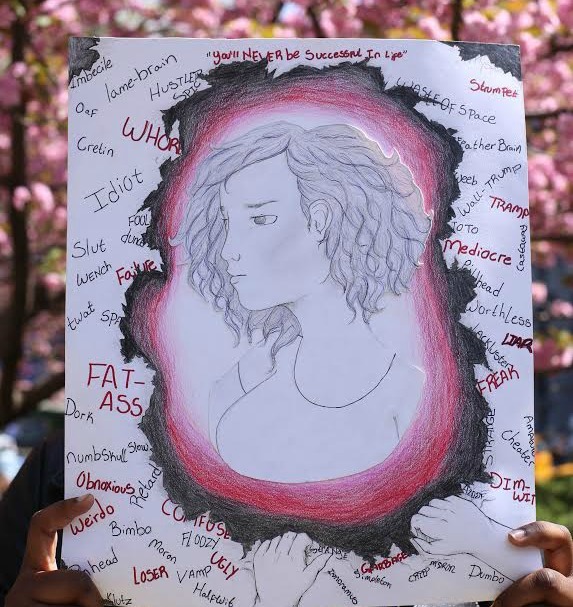 The sessions highlighted new perspectives on teen health and gave students the opportunity to creatively explore their identities through a lens of social justice – a new approach to school-based health. Together the workshops culminated in the Identity Art Show Opening Night, which was attended by the artists, their friends, family and teachers. 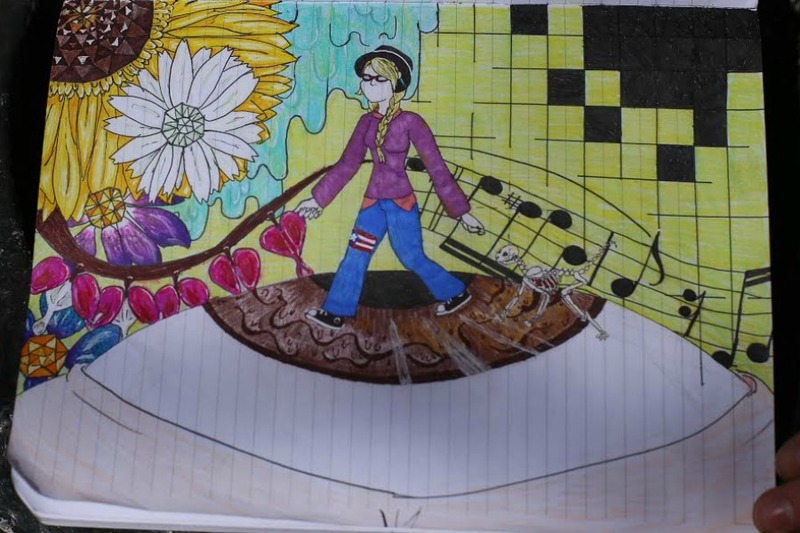 Three student artist won “Audience Favorite” and were awarded art materials donated by a local supply store. 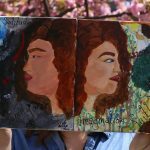 Ultimately, the project engaged a population of imaginative and inspired student artists traditionally disconnected from health activities on campus, while exhibiting students’ visible and veiled identities as a method of unique health education.